It is filled with enigmas that do not fit neatly into boxes built by scientists or occultists. That doesn't stop us from trying to find an explanation for everything. It is human nature to compartmentalize, to label and identify the things that frighten them - a thing named is a thing neutered. But some things refuse to be categorized neatly. Some mysteries evade explanation. Some monsters reject the classifications we attempt to brand them with. These are the seeds of fear and wonder, the exceptions whose only proven rule is that there are no rules that cannot be broken. These are the unexpected plots, the stories which pull player and character alike into situations where their wits, skills and strengths will be challenged. • Story seeds and plotline ideas for every World of Darkness line (including Vampire, Werewolf, Mage, Promethean, Changeling, Hunter, and Geist). • New rules, Merits, powers, and setting material. 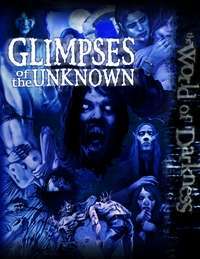 • Additional story ideas for the custom Worlds of Darkness presented in Innocents and Mirrors. This title was added to our catalog on July 20, 2011.